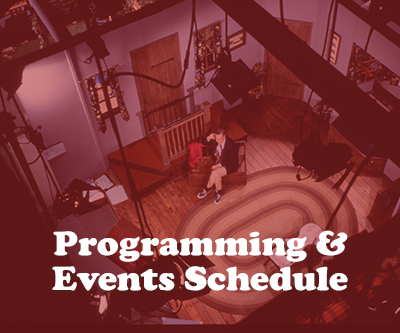 Mister Rogers’ Neighborhood 50th Anniversary Celebration schedule of WQED programs and events going on throughout all of 2018. Read and hear stories from WQED staff, colleagues, viewers and others about how Fred Rogers left lasting impressions. In celebration of the 50th anniversary of Mister Rogers Neighborhood, Pittsburgh area musicians perform their version and pay tribute to the classic song, "Won't You Be My Neighbor". Join us here and on the air as we celebrate Fifty Years of America’s favorite neighbor. With his comforting smile and iconic sweaters, Fred Rogers created a neighborhood where everyone was free to learn and listen and share, and most of all, be themselves. Produced by Family Communications, Inc. and filmed here at WQED Studios, Mister Rogers' Neighborhood was broadcast nationally on PBS for more than thirty years and delivered Fred Roger’s message of understanding and kindness to children everywhere. 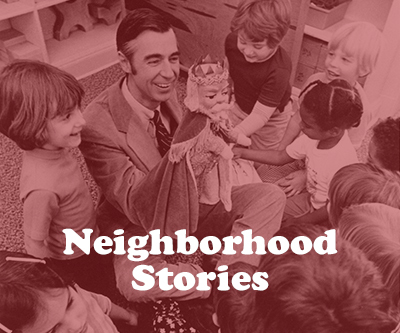 Week after week, Mister Rogers and the folks from the Neighborhood helped children and their parents explore their feelings, try new experiences and learn the value of friendship. WQED is proud to have been the producing station for Mister Rogers Neighborhood. Our largest production space, where hundreds of episodes were filmed, was re-named the Fred Rogers Studio in his honor. And visit this page for special video, news and content as we celebrate fifty years of Mister Rogers. During his decades of producing and appearing in Mister Rogers' Neighborhood, Fred Rogers received thousands of letters from children and their parents. He was known to respond to each and every one. WQED's Beth Dolinar brings us the story of people who received those letters, and who've kept them as treasured memories of a beloved man. 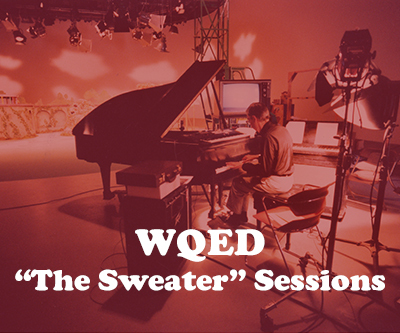 Friday, March 23 marked a beautiful day at WQED when the U.S. Postal Service unveiled the Mister Rogers Forever Stamp. The celebration took place in WQED's Fred Rogers Studio where the iconic children's series was filmed. Beth Dolinar brings you the story.